Dreamy 2 bed 1 1/2 bath nestled in one of the best pockets of NE-LA. Redwood fenced for a private front yard, landscaped with guava, lemon & olive trees. Inside, exposed high-beamed ceilings & an open floor plan create a loft-like experience. Features include central heat/air, updated copper plumbing, & an excellent one-car garage with expansive high ceilings & custom windows that would make an ideal studio/office. Updated kitchen & baths, hand-picked designer lighting & finishes throughout, upgraded electrical systems & new roof. Located a stones throw from Habitat coffee shop & adjacent to Atwater, Silver Lake, Echo Pk, Highland Pk, Pasadena, Glendale & Eagle Rock. In the Delevan school district. Come visit this character rich home & make it your own. 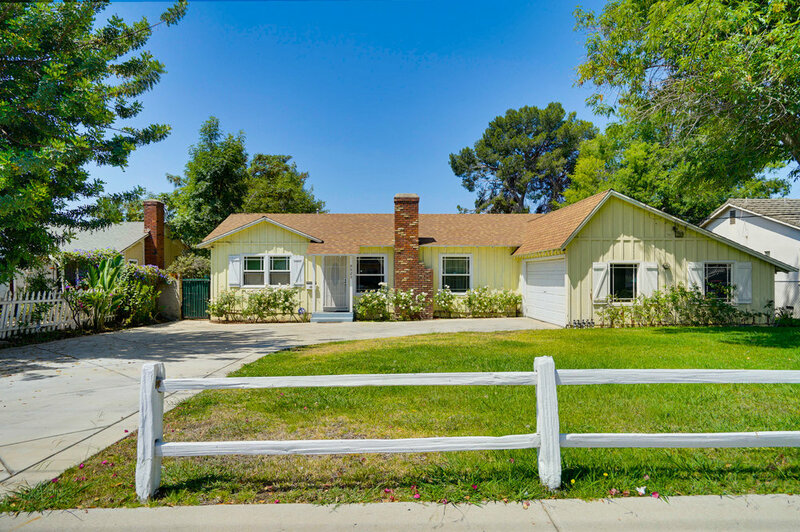 Charming 1951 Ranch style home with (gated & heated) swimming pool, covered patio and outdoor cooking area perfect for entertaining. This handsome 3/2 with new bamboo flooring also features a water filtration system, double pane windows, bonus room, dog-run, plenty of storage, laundry room plus a great 2 car garage. California living at its best. About 15 minutes from Silver Lake. Public records show this property as a 2 bedroom. A must see. If you love nature and architecture then welcome home. 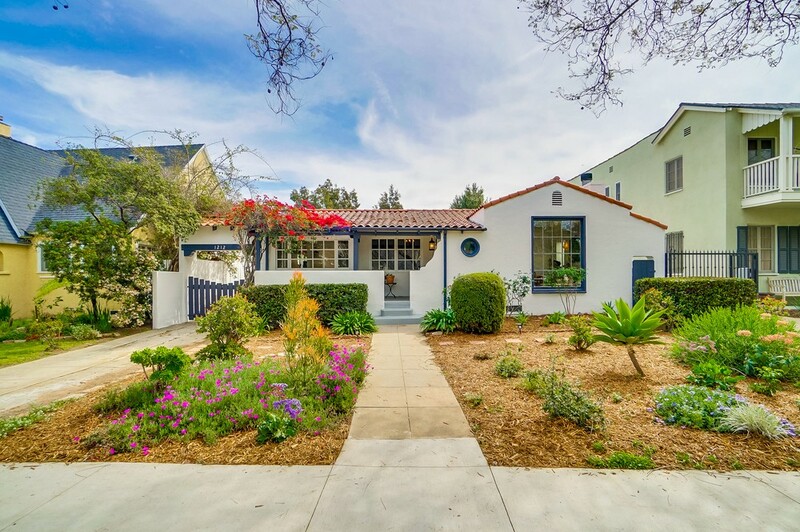 This stunning 1957 gem is tucked away in a secluded cul-de-sac nestled in the Hollywood Hills and features brilliant period details such as: faceted front windows, exposed beams, tongue-and-groove ceilings, original kitchen with vintage oven, hardwood floors, built-in cabinetry & floor to ceiling bookshelves - to name just a few. French doors lead to the outdoor living space, and just beyond lies a magical deck perfect for entertaining or meditating. 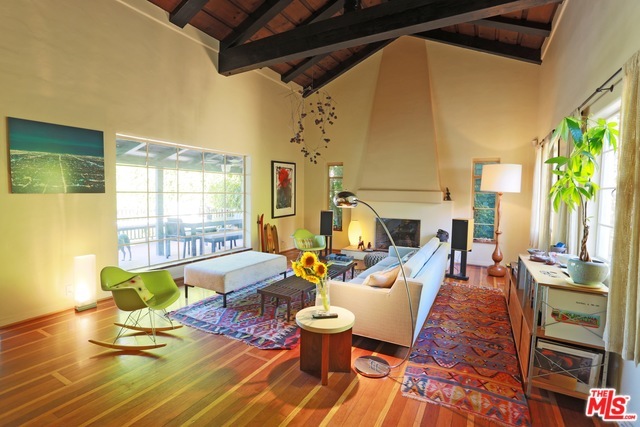 Located within the Wonderland school district, this is Laurel Canyon living at its best. Agents, please read private remarks and showing remarks before calling. California living at its best in Laguna Niguel. This breathtaking four bedroom, three bath with an office loft is perfect for anyone who loves nature, the ocean, entertaining, cooking and hiking. The fireplace is lit for cozy nights, the backyard is ideal for outdoor dining and has a chic fountain. The spacious open floor plan features majestic high ceilings providing plenty of sunlight. Centrally located near shops, movie theaters, restaurants and Lake Chateau. Also, Reggio homeowners have the option to join "The Club at Rancho Niguel" which features swimming pools, gyms, tennis courts and a child-friendly playground - a great and exclusive membership opportunity. Breathtaking artist's compound on a tree lined street. A truly unique home complete with original details and adorned with classic Spanish-style charm and personality. This gem features two master suites, with private bathrooms, original hardwood floors, kitchen nook and formal dining room. The living room highlights include breathtaking large windows for sun-filled afternoons. The garage includes an attached bonus office/craft room. This property also includes a guest house (with kitchen and bath) with its own private outdoor living space. The backyard is majestic, perfect for entertaining, and complete with drought tolerant landscaping and a fountain. Plenty of parking in the long driveway. This is a well-maintained and loved property. Near Powerplant Superfood Cafe, Bloom Cafe and just minutes from LACMA in historic Miracle Mile, near Farmer's Market and The Grove and Little Ethiopia. 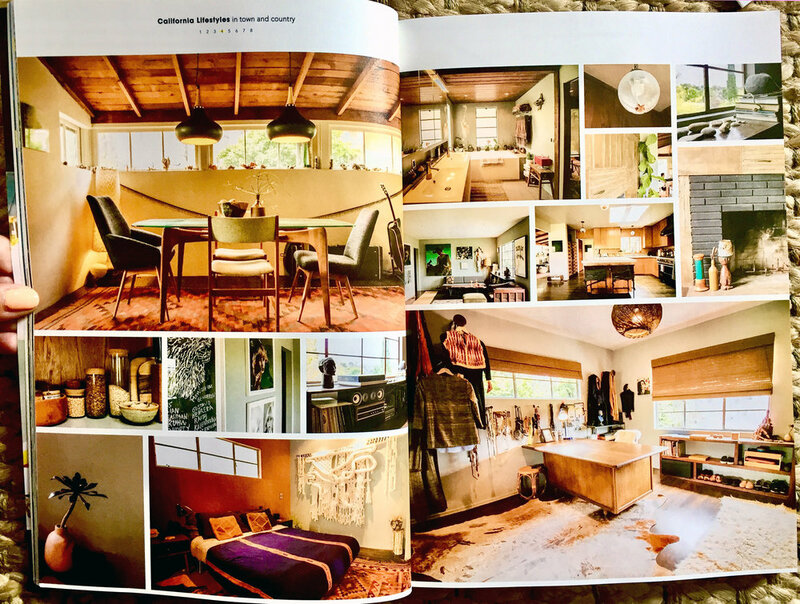 Step into a breathtaking Silver Lake Gem/Glamorous Tree-house. This split-level Spanish Bungalow in the Silver Lake hills sits on an expansive lot, offering stunning views of the Griffith Park Observatory, Hollywood Sign and surrounding hills. An open plan design provides plenty of natural light for sun kissed afternoons while the hillside lot allows for plenty of outdoor living space with a diverse selection of pines, palms, succulents and other trees. 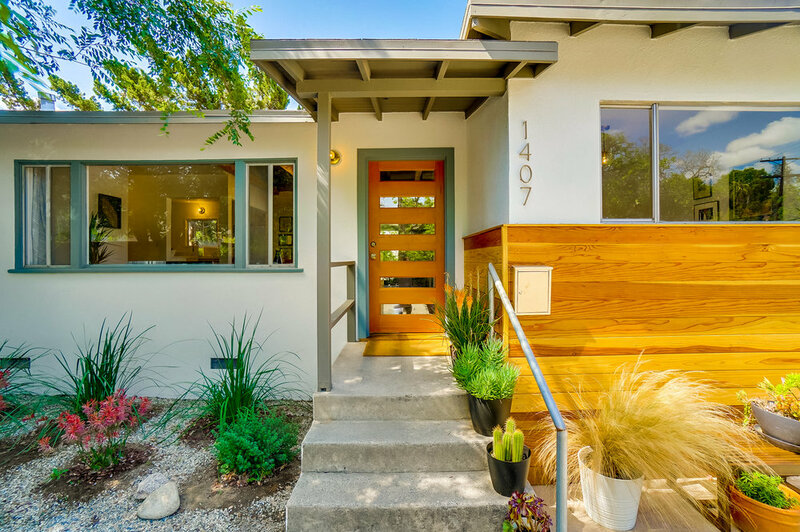 Hardwood flooring, built-in cabinetry and other unique features makes for a perfect Silver Lake property. Located near Bellevue Park, south of Sunset Boulevard, and close to the Silver Lake Farmer's Market, Cafe Stella, Intelligentsia Coffee and surrounding shops. A rare and uniquely private property. NEW LISTING: Gorgeous Mid Century Gem with Soul. Located on a charming cul-de-sac with lush tree top & panoramic views, a wrap around deck, drought tolerant landscaping and a magical outdoor dining area that's perfect for entertaining. Open floor plan, plenty of sunlight, newer HVAC, fresh paint, newer insulation, new floors, double pane windows, sliding glass doors in most rooms for that indoor/outdoor LA living. Nest temp control and decorative fireplace. Located near the Metro, Occidental College, Kitchen Mouse, Cafe Birdie, Ramen of York, Highland Park Bowl, Kinship Yoga and Civil Coffee. Tucked into Beachwood Canyon is this pastel midcentury condo building that dates to 1958, where a well-maintained two-bedroom unit just got a small price chop. Light-filled and minimal, the condo measures 964 square feet and features hardwood floors, a vintage kitchen, two tiled bathrooms and a balcony. There’s a communal pool and raised beds in a shared garden. The new asking price is $599,000. That’s still pretty hefty, likely because of its great location in walking distance to the core of Hollywood and Franklin Village. It was listed for even higher in May, at $610,000, after last selling in 2007 for $515,000. NEW LISTING: Step into this chic and charming 2/2 with pool views and balcony. This awesome Bunker Hill condo boasts an open floor plan, floor to ceiling glass doors, hardwood floors & stainless steel appliances. Outdoor balcony access from living room & both bedrooms allows for the perfect California lifestyle with indoor/outdoor living and great natural light. The master bedroom features a generous walk in closet. Listing price $585,000. Resort-like amenities include 24/7 door-person, large swimming pool, spa, BBQ, fitness room, business center with free WIFI, park-like grounds with architectural waterfall, tastefully landscaped, earthquake Ins, on site management, cable, dog park, gated garage & guest parking. Enjoy all your favorite places to eat, shop, drink and the many entertainment venues. Near Metro, freeways and close to The Disney Music Center - in the best part of downtown. Directions: 1st street at Figueroa. 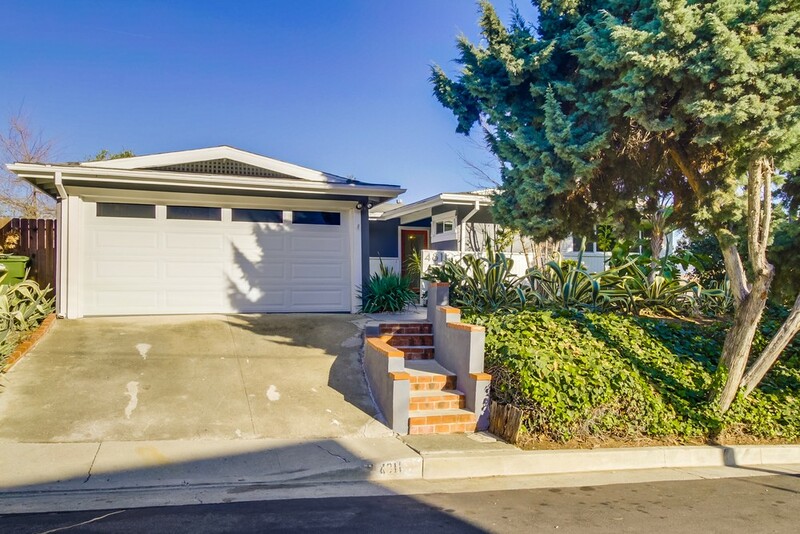 NEW LISTING: Mid-century modern condo in the beautiful Hollywood Dell. This 2-bed/2-bath with an open floor plan features a spacious living room and connected dinning room that leads to an outdoor patio area, swimming pool and community garden. Listing price $599,000. A true Hollywood oasis located just a stones throw from the Metro Redline, ArcLight Theater, Amoeba Records, and the Hollywood Reservoir hiking trails. Come see this picturesque complex in a truly special pocket of the Hollywood Hills. NEW RENTAL: Your search for a private and charming summer rental home with a large (saline) pool ends here. This 3 bedroom/2.5 bath Spanish-style home in one of the most sought after locations of Los Feliz features an updated kitchen, wood-beam cathedral ceilings, hardwood floors and spectacular views. $8,500 per month lease. 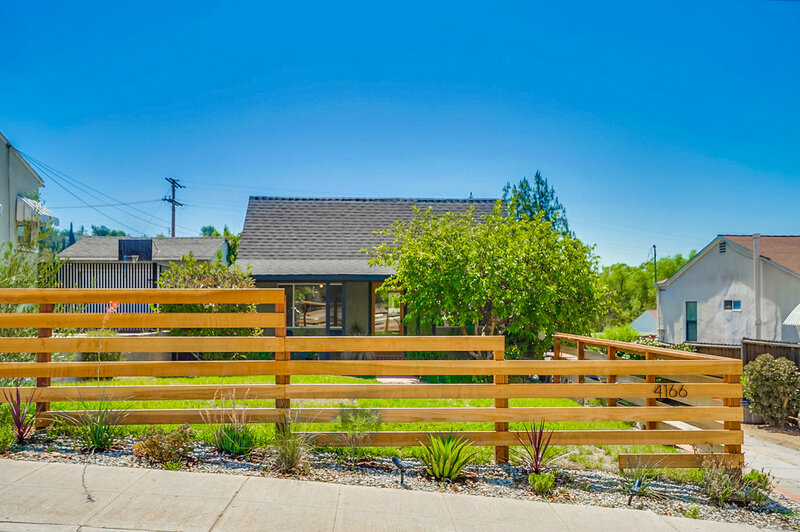 Situated on a cul-de-sac for added privacy and near Lil Doms, Griffith Park and Lassen's Market. This is a perfect furnished Los Angeles summer home. Amenities include: paid utilities, maid service, pool cleaning, gardener, wifi, Apple tv and Netflix. Directions : Los Feliz Blvd. to Commonwealth South to Los Nietos. NEW LISTING: A top floor mid-century gem overlooking one of the two pools located in this park like setting. This delightful unit features an open floor plan perfect for entertaining with vast vintage charm throughout. Also includes lots of closet space, and covered parking. 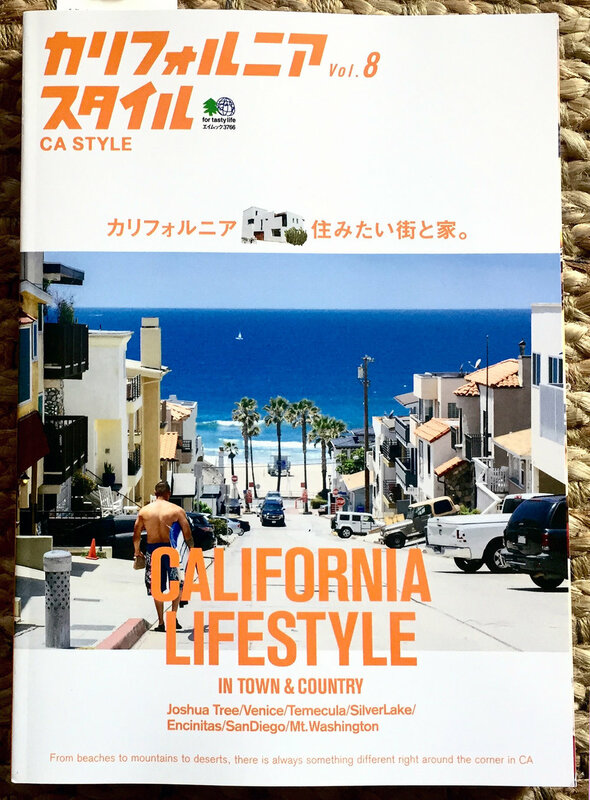 Situated in the top-rated Clover School District, and centrally located near markets, retail shops, restaurants, UCLA, Fox & Sony Studios, and Santa Monica beach. Great access to the 10/405 fwys., and the Pico Bl. Metro Station. Co-op owned, no subleasing permitted (buyers to verify all listing details). Please note this is a Co-Op requiring HOA approval of buyer, 20% down, no FHA. Per the listing, the 1,882-square-foot house has three bedrooms and three updated baths. Interior features include high ceilings, double-pane windows offering stunning views, wood floors, stainless steel appliances, and a tankless water heater. The 18,521-square-foot property also contains multiple decks and patios, a swimming pool with spa, and a detached guesthouse/studio. UPDATE: Asking price is NOW $1.8 million.